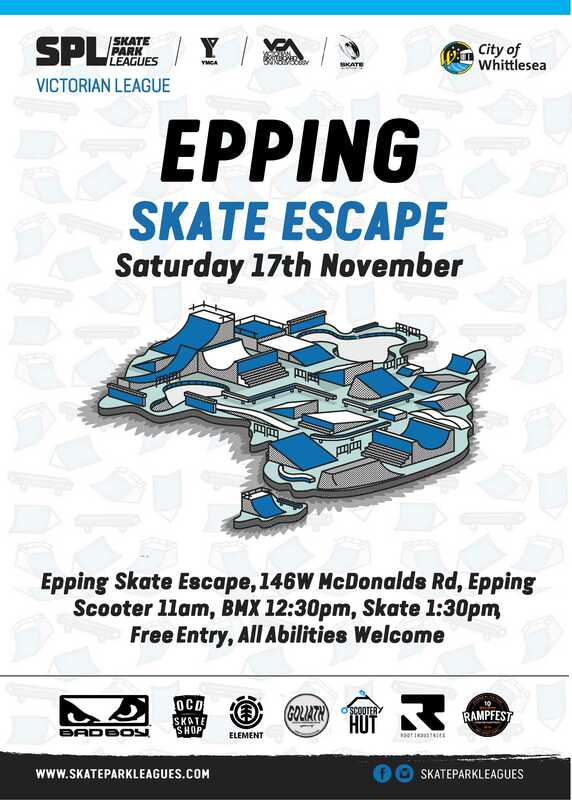 Where: Epping Skate Escape (Council's regional skate park, Mc Donalds Rd, Epping) Now with brand new additional skate bowl! - Free Jumping castle (times for primary ages as well as separate times for teens. - Food stall: Whittlesea I'screamery plus hot food available. This is a fully supervised event. Family friendly event. Smoke, alcohol and drug-free event. Council's youth workers on site. Competition element of event run by YMCA Action Events. Food, drinks and ice cream available on site.